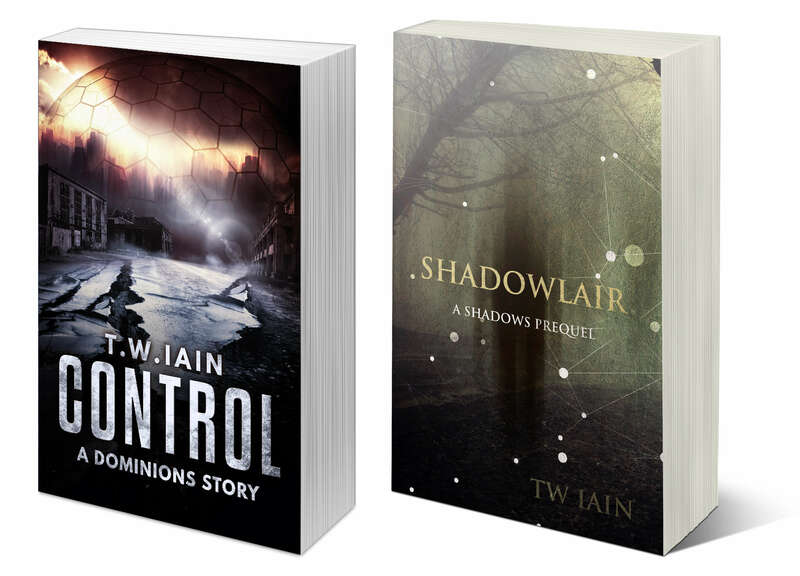 Shadowfall (Shadows Book One) is on sale from today, down to only 99p/99c, until next Friday. So if you’re looking for a creepy combination of science fiction and horror, click here to get this bargain now. It’s always disappointing when a story that begins with so much promise falls in the final pages. This happened recently in a trilogy I was reading. The first book was great‌—‌it worked well as a complete story, but with enough unanswered questions to encourage me to keep reading. The second book meandered a little, but I was able to let that pass‌—‌it was setting things up for what promised to be gut-wrenching finale. The hero had gone through so much inner turmoil, but now he was in an impossible situation‌—‌the only way to save the world would, without question, result in his own death. Could someone who had been acting from selfish motives for so much of the previous two books make the ultimate sacrifice? The third book in the trilogy started strongly as the hero battled the fears in his mind as well as the physical dangers all around. Then, in the final few chapters, everything changed. One of the ‘bad’ characters was going through his own struggle of conscience, and when it came to the end moments, he stepped in. This reformed character took the place of the hero and died to save the world. At first glance, this might seem to be a good ending‌—‌the world is saved, and the hero lives. It’s win-win, surely. But as I read those final chapters, I felt cheated. To be honest, it ruined my whole experience of these books. One reason I felt cheated was down to a broken promise. In any book, the writer gives certain promises to the reader. These might not be made explicit, but most readers will pick up on them subconsciously. If a group of characters have been preparing for a big battle, then there is an inherent promise that there will be a battle. When the two main characters meet in a romance, even if they can’t stand each other initially, there is a promise hard-wired into the genre that they will end up in a happily-ever-after. And in the trilogy I read, with so many words given over to the hero’s struggle with his situation, there was a clear promise‌—‌the hero would sacrifice himself to save the day. But he didn’t. The promise was broken. And, to add to my dissatisfaction, he ultimately did very little to help save anyone. It felt as if the preceding three books’ worth of internal and external trials were all for nothing. So much work, and at the defining moment the hero stepped aside and let another take his place. That’s like an athlete training hard, spending hours running in the cold, struggling through injury and personal doubt, slowly realising that they can win the big race‌—‌then having someone else run in their place. Or a musician practising every hour of the day on a complicated piece of music, fighting to prepare in time for the deadline of a major concert‌—‌and then sitting in the audience as someone else plays the piece for them. As readers, we expect the hero to be the one to save the day. We want that stand-up-and-cheer moment when they overcome the odds. So if we’re given a different ending, we don’t get the closure we want. Imagine how watching Star Wars would’ve felt if, instead of Luke destroying the Death Star, one of the other pilots had done so. Or if Harry Potter, in his final battle, stood aside as one of the Hogwarts teachers defeated Voldemort. Or if the crew of the Nostromo in Alien had been saved by a passing military vessel. In all these cases, good would have triumphed over evil, and the heroes would be alive to tell their tale. But the endings wouldn’t have satisfied. We would’ve felt cheated. Why follow these characters through all their highs and lows when none of that matters at the end? Heroes might not save the day on their own (and if part of their character growth is in trusting others, it might be important for them to receive help), but they definitely should have that moment of glory. This is what Luke did when he trusted the force and destroyed the Death Star, what Harry Potter did in defeating Voldemortm what Ripley did when she overcame her terror and sent the alien out into space. If the hero doesn’t save the day, then they are only a side-character in someone else’s story. I first heard the word ‘endling’ a few weeks ago, on a podcast called Everything Is Alive (interviews with everyday objects‌—‌well worth a listen). I believe the word was used in episode 14, an interview with Petey, a baseball cap, and ‘endling’ was used to mean the very last of something‌—‌the end of the line. Sometimes, all it takes is a word to trigger a story, and this one came together pretty quickly. You can read The Endling here‌—‌and I’d love to know what you think of it. Dominions Box Set is now live! The first Dominions Box-Set is now available from all the usual e-stores. It contains the first three novels (Dark Glass, Dead Flesh and Deep Water) along with the prologue story Gatekeeper and a number of bonus short stories. And I’m keeping it at the ridiculously low price of 99p/99c, but only for this weekend‌—‌at some time on Monday it will rise to a higher price, so why not grab a copy now? Click here for a list of stores where the Dominions Box-Set can be found. Developments in technology offer new ways of working, new ways of doing things. But often, these developments take time to become mainstream. Think of electric cars‌—‌Clive Sinclair’s C5 was widely derided, and failed commercially, but it arguably paved the way for the electric and hybrid vehicles that are becoming increasingly common now. Digital books, too, didn’t become mainstream instantly. Back before smart phones and laptops, ebooks were pdf files, and many people simply didn’t want to read whole books on a bulky computer screen. But new formats were developed, chiefly epub and mobi, and new devices appeared. When Amazon released Kindle, e-reading really took off. Now, with so many people owning smart-phones, ebooks can be downloaded and read through apps, and reading large amounts of text on screens has become relatively normal. And with the rise in popularity of audiobooks, another shift is occurring in the way people read (consume) books. With the changes in technology, and the altering marketplace for ebooks, now companies are constantly appearing. Some of them carve out their own space (either geographically, like Kobo in Canada and Tolino in Germany, or through niche markets, like Overdrive with libraries), while others are either bought out (like Createspace) or simply disappear (and there have long been predictions that this will be the fate of Nook/Barnes & Noble). One new name I’ve recently become aware of is Bubblin, and they’re aiming to provide a different reading experience. Describing themselves as both ‘an online cafe for books’ and ‘Bandcamp of books, comics and magazines’, Bubblin is entirely web-based. Instead of downloading books and using an app or dedicated e-reader, readers using Bubblin simply click on a book and it appears in their web browser. Bubblin doesn’t use epub or mobi, but has its own formatting system‌‌—‌and this is fixed-layout. This means that, rather than allowing the reader to adjust the text (size, colour, font and so on), what appears on the screen is very much like a physical book, with the text and images fixed in place (in many ways this is similar to pdf files). Initially, I thought this was a mistake. Isn’t one of the major benefits of e-books the ability to control the appearance of text to suit individual preferences and needs? Why would a company return to fixed-layout formatting? Then I remembered the ‘Bandcamp of books, comics and magazines’ line, and I understood. There are many examples of written material that requires pages to look a certain way. Think of the layout of magazine pages, or the way frames in comics can be of different sizes, often with images and text breaking out of the boxes. Then there are text books that rely on images and charts to convey information. And even with standard text books, there are times when fixed-layout formatting is important. Having pages that look like fascimiles of newspapers can add to the reading experience (as in John Fowles’ The Magus). Irvine Welsh’s Filth has some of the text obliterating other parts as a way of conveying how the main character is being ‘taken over’ by something inside. Poetry, too, often conveys information in the placing of words on the page (such as Lewis Carroll’s The Mouse’s Tale from Alice’s Adventures In Wonderland.) While words convey a lot of information, text positioning can add another subtle layer, and this can easily be lost in the usual flexible ebook formatting. The web-based nature of Bubblin gives another advantage‌—‌as their formatting system is based around CSS and Java (I think), it is possible to include other media within books. Images can be animated, and videos can play on pages. I believe the books can incorporate audio too‌—‌which immediately makes me consider the possibility of read-along audiobooks. However, using a totally web-based system brought a question to my mind‌—‌are people willing to read full books in web browsers? Personally, I’m fine with my Kindle. But over the last year I’ve started using e-reader apps on my mobile more often. And a decade or so ago I wouldn’t have imagined reading a whole novel on any kind of screen. Even when I first got an e-reader (an old Sony thing), I thought I’d use it only for freely downloadable classics while still reading physical copies of more recent books. But now, I’ve gone fully electric in my reading. People’s preferences and habits change over time. TV shows and films are commonly streamed now, as is music, so why not books? As mobiles increasingly become the go-to devices for digital media, web-based reading starts to make a lot of sense sense. And I’ve decided that when I finish the book I’m reading at the moment, I’m going to try a whole novel through Bubblin. I’m also giving Bubblin a try as a writer. The process of formatting books for them is (for someone with limited coding knowledge) fairly complex, but there’s a good chance this will become easier over time. After all, formatting epubs continues to grow easier, with tools like Vellum and Draft-2-Digital’s conversion service. I managed to format my Dominions prologue, Gatekeeper, though‌—‌and you can have a look at it by clicking here. Creating this book involved a fair amount of back-and-forth with Bubblin, and I have to say that they’re very receptive to feedback, and are constantly tweaking things to improve the whole user experience. Will Bubblin prove popular enough with readers? I hope so, because any competition to the big players in the ebook market has to be good, and Bubblin are offering something different. Have a look for yourself‌—‌pop over to bubblin.io and browse a few books (there’s no sign-up or registration, and at the moment the vast majority of books are free). If you want to take a look at my Gatekeeper, click here. And if you have any thoughts on Bubblin, I’m pretty sure they’d love to hear your feedback. The first Dominions box-set, containing Dark Glass, Dead Flesh, Deep Water and the prologue short story Gatekeeper (plus a few extra bonuses) is coming out on 5th April, but it’s available for pre-order right now at the ridiculously low price of 99p/99c (or your local equivalent). Click here to check out what stores you can pre-order from.